Wildlife was the real winner at the UK’s first-ever Zoohackathon event at ZSL London Zoo, where a crack team of coders, creative-minds and conservationists collaborated to develop cutting-edge technological solutions to tackle illegal wildlife trade. Following 48 hours of innovative thinking and creative coding, team ‘Lookout’ beat 14 other groups to claim the winning title with their solution designed to educate travellers about the perils of buying illegal wildlife products. Lookout’s winning idea was centred around the issue of inadvertent trafficking of endangered illegal wildlife products by international tourists. As well as designing a powerful, predictive online platform that coordinates information on illegally-trafficked items so they are searchable by tourists’ destinations, the team also devised a communications plan to raise awareness of the issue, including automatically embedding relevant information at points throughout a travel booking process. A U.S. Department of State initiative, the Zoohackathon saw zoos across the world - including Sydney’s Taronga Zoo, San Diego Zoo and Singapore Zoo - invite the brightest technological minds, conservation experts and designers to unite and take on one of the greatest threats currently facing the world’s wildlife. 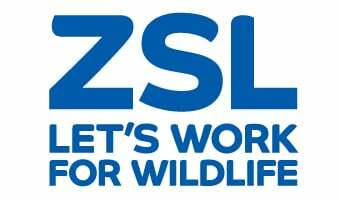 The winners of the London event, run by ZSL in partnership with the US Embassy, won a £2,000 prize fund and will have the assistance of ZSL’s own pioneering Conservation Technology Unit (CTU) in turning their idea into reality. Sophie Maxwell, head of ZSL’s CTU, said: “We’ve seen phenomenal ideas generated at the Zoohackathon – from an illegal wildlife trade economy simulation game to new fundraising devices- the level of creative thinking was outstanding. “‘Lookout’s bold idea went beyond the brief, highlighting the concept that we should merge technology with the travel industry to really make an impact on the illegal wildlife trade in this area. All of the London teams’ final ideas will be submitted into the global competition against rivals from across the USA and Australia, with ultimate winners claiming the overall $10,000 prize fund. WINNER - Lookout - a solution to educate travellers about the products of the illegal wildlife trade that they may find at their destination, with a view to preventing tourists from inadvertently driving the illicit trade. As well as designing a powerful, predictive online platform that coordinates information on illegally-trafficked items so they are searchable by tourists’ destinations, the team also devised a communications plan to raise awareness of the issue, including automatically embedding relevant information at points throughout a travel booking process. Follow them on Facebook. Zoolander - a browser plugin to educate travellers about the illegal wildlife trade. The extension automatically grabs your destination from flight booking websites and displays a list of species under threat from the illegal trade in that country. Elephone - an app to help prevent travellers inadvertently buying wildlife crime products that recognizes illegal products through image recognition.